New York City, actually the correct name is “The City of New York”, was formed in 1898 with the merger of 5 counties- New York County, Kings County, Queens County, Bronx County and Richmond County. The County names are just used for legal and government purposes, and we all use boroughs names -Manhattan, Brooklyn, Queens, The Bronx, and Staten Island. 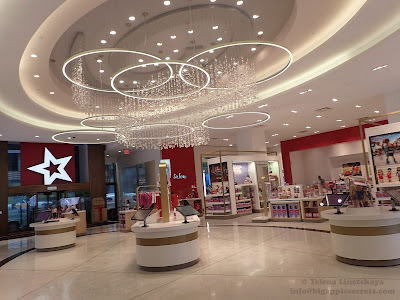 This city started as two world cities facing each other across the Lower East River, the City of New York (Manhattan), with its natural borderland, the Bronx, and the City of Brooklyn ( the third largest city in US at the end of 19 century) with its borderland, Queens. Much of the area, especially the Bronx, Queens, and Staten Island, consisted of villages, with farmland in between. There are a lot of streets with the same name in different boroughs : there is a Broadway in all five boroughs, there is Lexington Avenue in Manhattan and Brooklyn, Madison Avenue in Manhattan and Staten Island, there is Park Avenue in Manhattan, Brooklyn and Queens, but mostly these streets existed long before the merging. After boroughs merging nobody renamed the streets. Because of the duplicate name. The story about the name ‘Grand Army Plaza’ is completely different- both plazas were named AFTER the merging. Grand Army Plaza in Manhattan lies at the Southern-East corner of The Central Park. The idea for such a plaza was first proposed by sculptor Karl Bitter in 1898. The plaza was designed by Carrère & Hastings in 1916 as a New York’s version of the Place de la Concorde in Paris. The New York City Board of Aldermen named it Grand Army Plaza in 1923 after the Grand Army of the Potomac. The Army of the Potomac was the major Union Army in the Eastern Theater of the American Civil War. 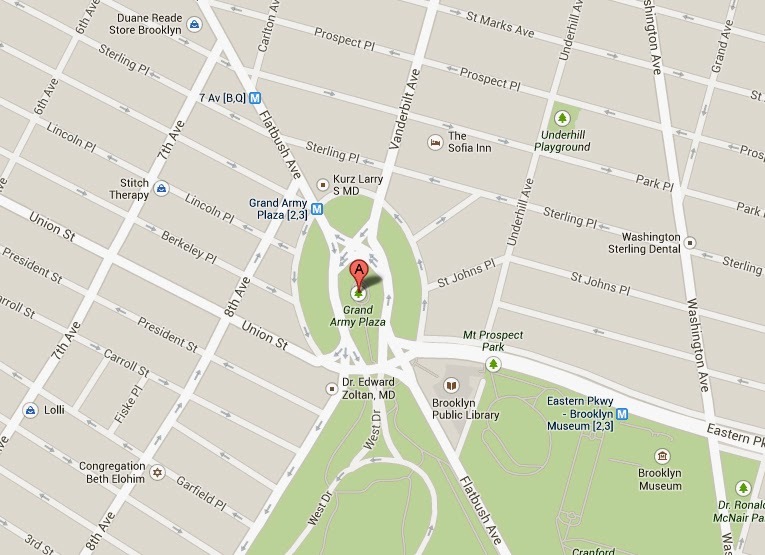 Grand Army Plaza in Brooklyn is to the North of the Prospect Park. Three years after the naming of In 1926, the plaza, previously known as Prospect Park Plaza, was renamed Grand Army Plaza to commemorate the sixtieth anniversary of the foundation of the Grand Army of the Republic, a fraternal organization composed of veterans of the Union Army and other military services who served in the American Civil War. So both names are related to American Civil War. 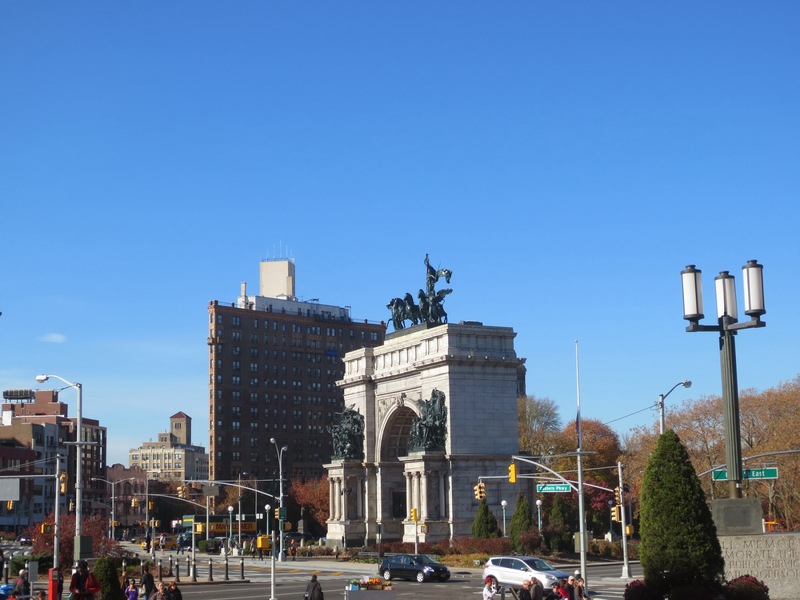 Grand Army Plaza in Brooklyn marks the entrance to Prospect Park and Grand Army Plaza in Manhattan is the gateway to Central Park. Both squares have equestrian statues of generals, living at the same time. 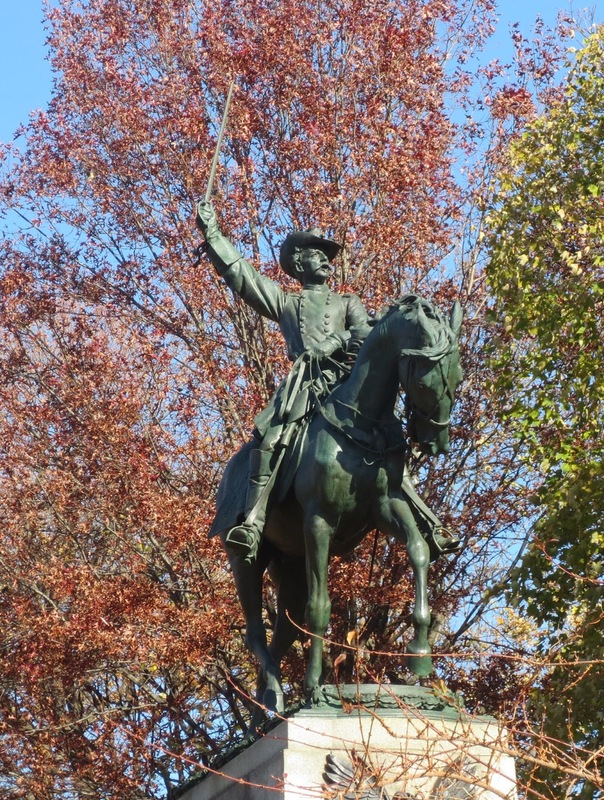 This bronze equestrian statue of General Henry Warner Slocum in Brooklyn Plaza (1827–1894) depicts the Civil War hero atop his horse with a raised saber in his right hand. The monument, unveiled on Memorial Day 1905, is located in Brooklyn’s Grand Army Plaza at the top of a small hill at Plaza Street East. 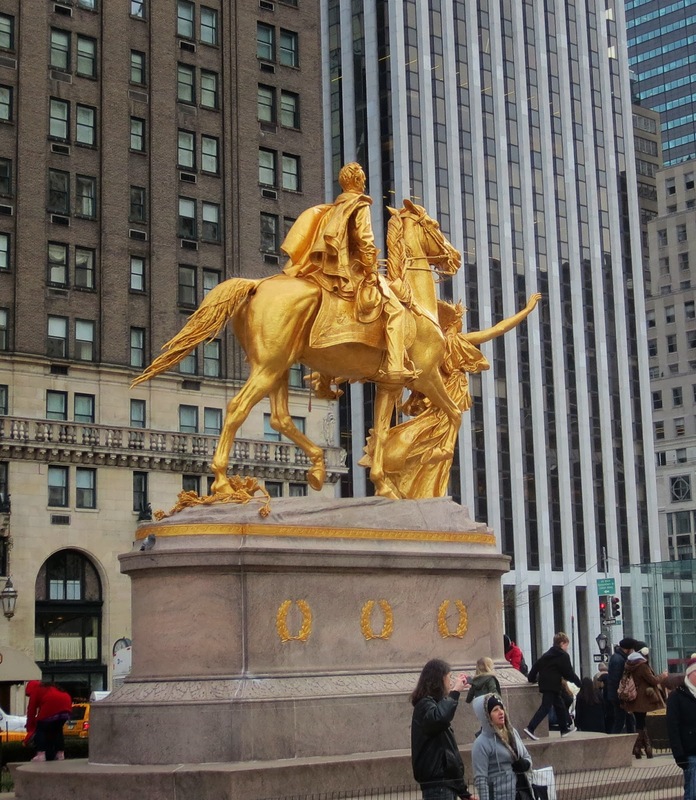 The gilded-bronze equestrian group statue in Manhattan Plaza depicts one of the United States’ best-known generals, William Tecumseh Sherman (1820 – 1891).The monument was installed in 1902. 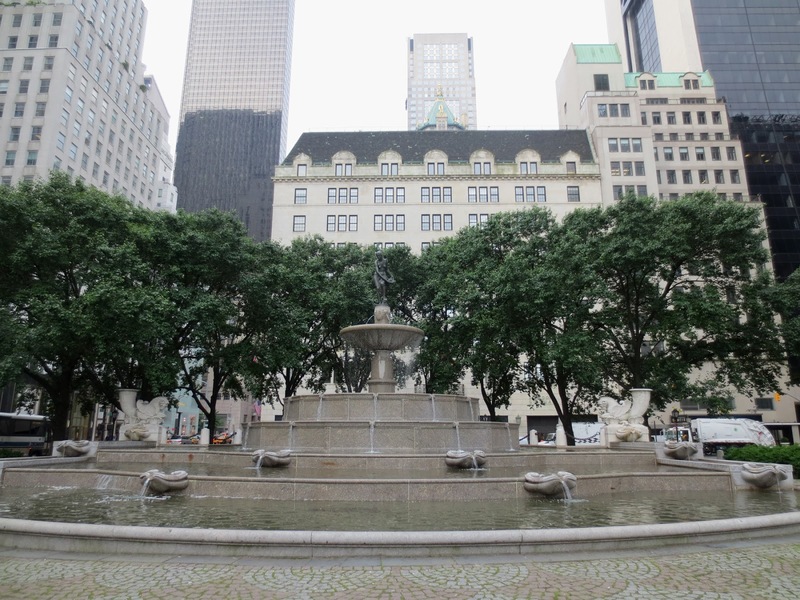 Both Plazas have the fountains- Fountain of the Golden Spray in Brooklyn Plaza and Pulitzer Fountain in Manhattan Plaza. 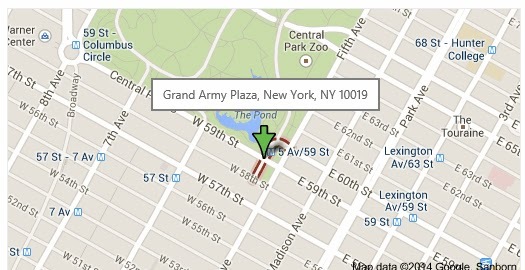 So when you say “Let’s meet at Grand Army Plaza” please add a location of the Plaza – Brooklyn or Manhattan!